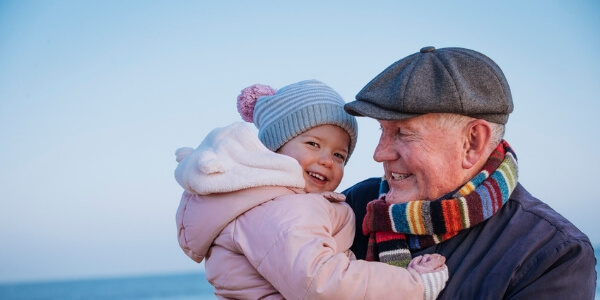 In this guide, consultant Ophthalmologist Mr Mark Wilkins shares his advice on recovery after cataract surgery (Phacoemulsification). From how long you’ll need to take off work, to driving after surgery and how you can speed up your recovery, here’s everything you need to know. 1. 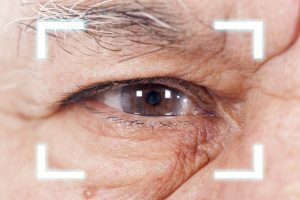 How long does cataract surgery take? Cataract surgery is a quick and straightforward procedure — so, you will have the operation as a day case patient. When you arrive at the hospital, the surgical team will need to prepare your eyes for surgery. This involves putting some drops in your eyes to dilate your pupils to make them wider. You will also be asked to sign some consent documents and given a surgical gown to put on. Once in the operating theatre, your cataract surgery will take 15 minutes and you will be discharged from hospital once you’re feeling ready to leave. You’ll be at the hospital for no more than four hours. 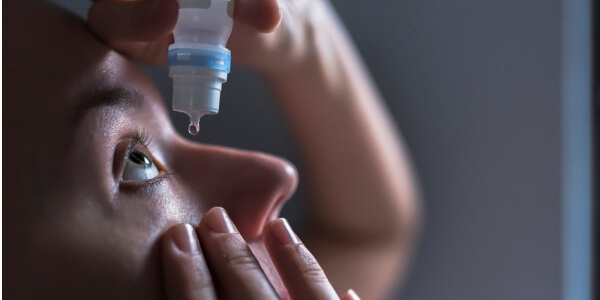 Cataract surgery can be performed using eye drops to numb the area, or under a local anaesthetic. If you have surgery with eye drops only, you will need to wear a transparent shield over your eye until you get home. If your surgeon uses a local anaesthetic, you will need to wear an eye pad and a shield for a few more hours until the anaesthetic wears off. 2. What are the side effects of cataract surgery? Immediately after surgery, your eye will feel watery and slightly gritty — don’t worry, this is normal. Your vision will be a little blurred and your eye may also be sensitive to light and appear red or bloodshot. It will take 24 hours for the drops used to dilate your pupils prior to surgery to wear off. You’ll notice that your pupil will look larger than normal during this time. Your vision will also be blurred whilst you’re waiting for the drops to wear off. 3. How long does recovery take? Your eye will feel normal again 24 hours after surgery. However, your sensitivity to light may persist for a few more days. It will take four to six weeks for your eye to fully heal. 4. Will I need to take time off work? It isn’t recommended that you return to work the same day as your cataract operation. Each patient is different and when you can return to work will depend on the nature of your job, how strong your glasses are and whether or not you need new glasses. If you wear very strong glasses, once you’ve had cataract surgery in one eye, you will have a noticeable difference in the vision between your two eyes. This will make it difficult to work. This imbalance will improve if you have further cataract surgery in your other eye. Your surgeon will be able to advise you how long to take off work, based on your circumstances. 5. Can I drive after cataract surgery? In order to drive a car, you must be able to read a number plate from 20 metres away. You will also need to show that you can read the 6/12 of an eye test chart with both eyes open. This test can be arranged by your optician or ophthalmologist. If you don’t have any other eye problems, you will be able to read both within one day of cataract surgery. As you’ll have only one eye operated on at a time, you may be advised that it’s safe to drive — just make sure you drive with caution at all times. Some patients require new glasses in order to meet the legal driving requirements. It’s advised that you wait four to six weeks for your eye to settle down before having an eye test for a new pair of glasses. If you wear very strong glasses, you may need to wait until you’ve had your other eye operated on to balance your vision. You will then need to wait for both eyes to fully heal before you can get a new prescription for your glasses. 6. What can I do to speed up recovery? To recover from cataract surgery as quickly as possible, it’s important to follow the advice of your surgeon. Eye drops will be given to you when you leave the hospital. These will help your eye heal and prevent infection. You should use these drops in the eye that has been operated on for as long as your surgeon has recommended. You should take steps to avoid damage to your eye. These steps include avoiding rubbing your eye, shielding your eye from strong sunlight and wearing an eye shield when you wash your hair. You should also avoid swimming until your eye is completely healed. Your surgeon will also give you advice on how to clean your eye as it may feel sticky for the first two weeks. This is normal and is caused by your eye drops and the healing process. Unless you’ve had a multifocal lens fitted during surgery, you will need reading glasses after your cataract operation. These will be a different strength to the lenses you had before surgery. Wait until your eye is fully healed before getting new glasses. Consider purchasing reading glasses from a pharmacy or supermarket in the meantime. 7. Is cataract surgery permanent, or will I need the same surgery again? Cataract surgery is permanent — so you won’t need the same surgery in the same eye again. 10% of patients experience a build-up of debris behind the new lens that is fitted during cataract surgery. This is fixed with a simple outpatient laser procedure. 8. Can I bend over and lift things after cataract surgery? Patients used to be advised to avoid bending, lifting or taking part in strenuous activity after cataract surgery. Now that modern cataract surgery means that the incision in the eye is very small, the advice is different. You will be able to return to normal activities including sports (although see advice on driving above) after surgery. 9. Will I still need my glasses after surgery? If your surgeon fixed your cataracts using a standard fixed-focus or monofocal lens implant, you will need glasses for reading. You may also need glasses for looking over a long distance. Alternatively, if you had a multifocal lens implant, your chances of needing glasses will be significantly reduced. 10. How long until I can have surgery in my other eye? If your first eye settles down quickly after cataract surgery, you can have your other eye operated on as soon as one week later. Depending on the strength of prescription for your glasses before your first surgery, you may wait until you need the second surgery before having it. This will be the case if your glasses have a weak prescription, meaning little difference between the vision in both eyes. If you need very strong glasses, the difference in vision between your two eyes will be too great after your first surgery. It’s advised that you have your second surgery to correct this imbalance in vision. If you are concerned about your eye health or have been advised that you have cataracts and need surgery, please do not hesitate to contact the team.